Blog | Central New York Technology & Engineering Educators' Association | CNYTEEA was established in 1936 with the mission to provide educational and fellowship experiences for teachers to continue their professional development. If you are at the NYS Fair in the next couple weeks, make sure to visit the Youth Building to see some of our Tech Ed student’s projects. This is an opportunity for thousands of people to see the diverse learning activities our students are involved in throughout the year. Check out the attached images for samples of the display. Special thanks to Ray Finney for setting up the display for CNYTEEA over the past few years. On Monday, June 5th, 15 CNYTEEA members got a full tour of the 2017 Department of the Year. This year, the members of CNYTEEA nominated Ray Middle School in Baldwinsville, NY as our 2017 Department of the Year. The Technology Education Department at Ray Middle School features two large class spaces. Mo & Annette team teach their 6th & 7th Grade Technology classes. Their curriculum includes a wide range of topics and content, some of which is featured in the images below. 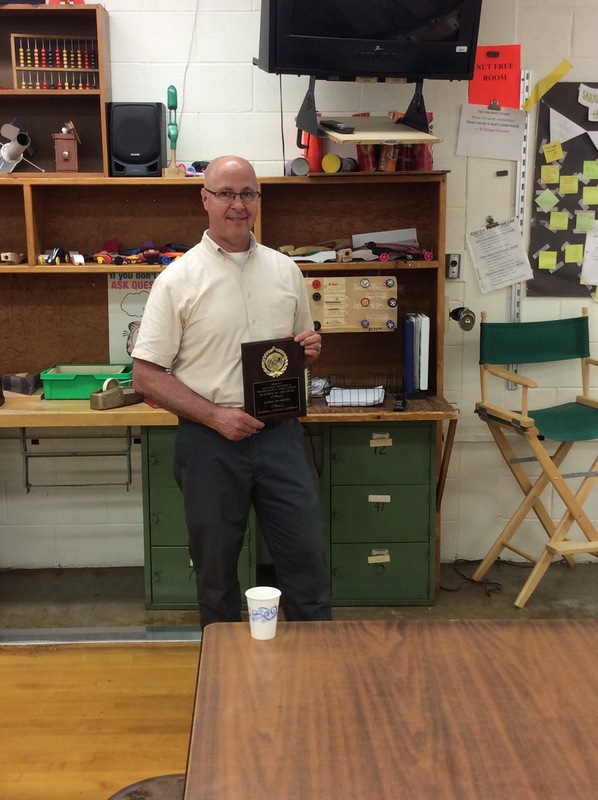 Afterwards the CNYTEEA Department of the Year and Teacher of the Year were presented with their plaques. Congratulations to Mo Levine and Annette Wallace for being the Department of the Year and Jim Maniccia for being the Teacher of the year! Please join us for our tour of Ray Middle School! See the attached flyer for information and pictures. Please RSVP by Friday, June 2nd. 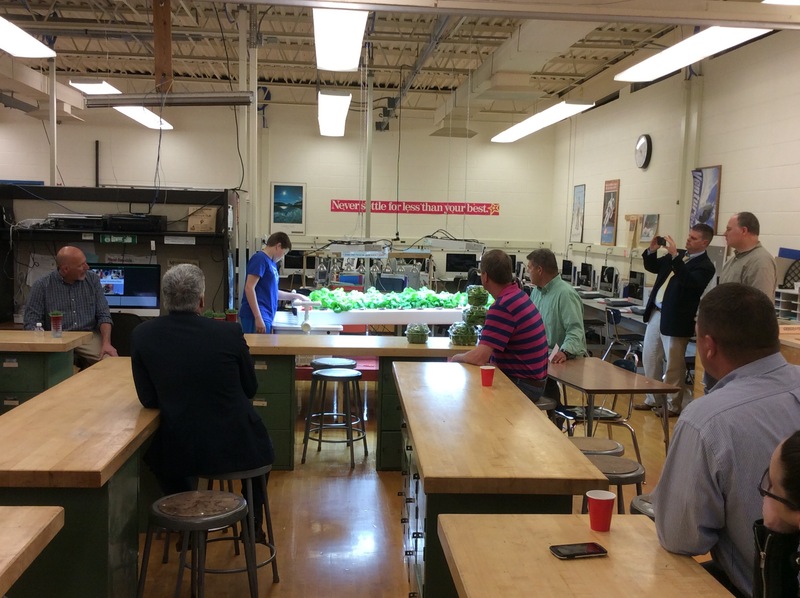 Visit and tour the Baldwinsville Central School District’s Ray Middle School to learn about their current programs and future plans. See why CNYTEEA Members voted this facility and teachers the 2017 Department of the Year. 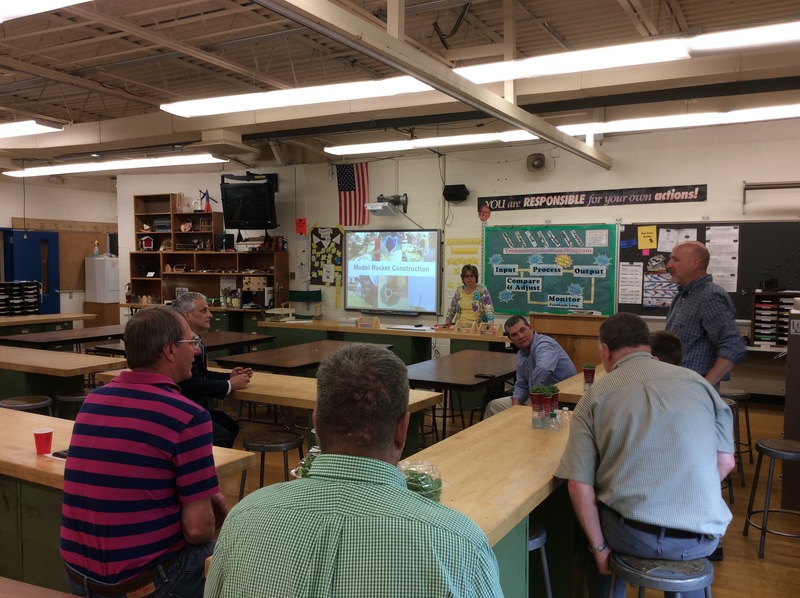 On Wednesday December 7th, CNYTEEA members toured the OCM BOCES adult education facilities. 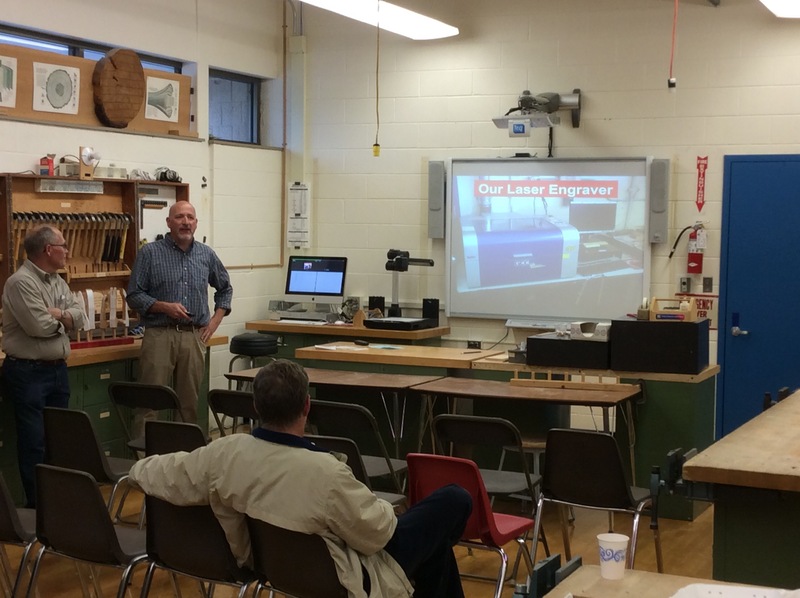 Specifically, we were able to see the facilities for CAD, welding, electrical, construction, HVAC, and manufacturing. The new building, now located at 110 Elwood Davis Road in Liverpool and also houses the adult education facility for their other programs including nursing, cosmetology, and culinary arts. Matthew Tarolli, OCMBoces Coordinator of Adult Education who gave us the tour, shared that they are seeing younger students. Some of these new adult education students are just out of high school. Check out some of what is going on at OCM BOCES Adult Education below. In the HVAC program at OCM BOCES adult ed, students work hands on with HVAC systems. Motor controller trainer station in the electrical trades lab at OCM BOCES adult education facility. On Wednesday, May 11th CNYTEEA members got a full tour of the updated facility at SUNY Oswego’s Park and Wilber Halls. For many, it was a return to their alma mater and it was definitely apparent how times have changed. Each lab features new advanced systems for their respective technology (see Slideshow). 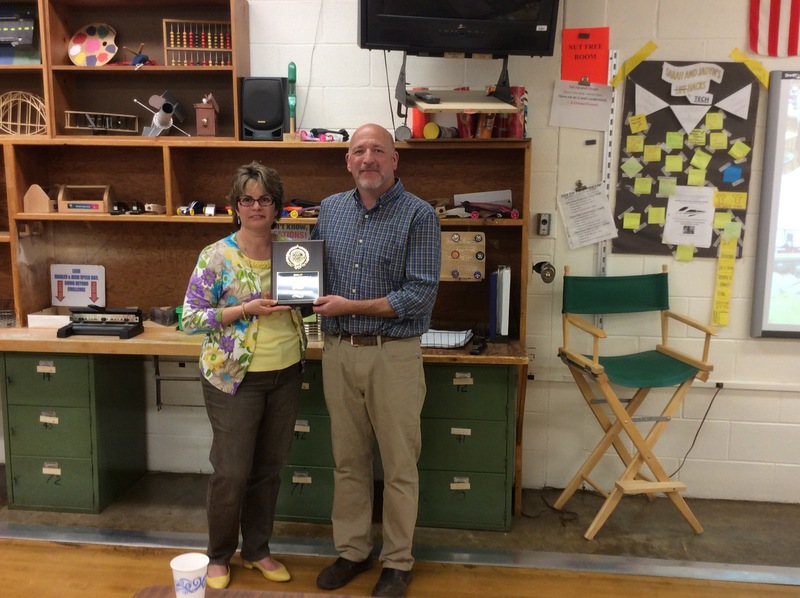 Afterwards the CNYTEEA Department of the Year and Teacher of the Year were presented with their plaques. Some SUNY Oswego students were also present discussing their experience at Oswego and making connections with teachers in their future field.